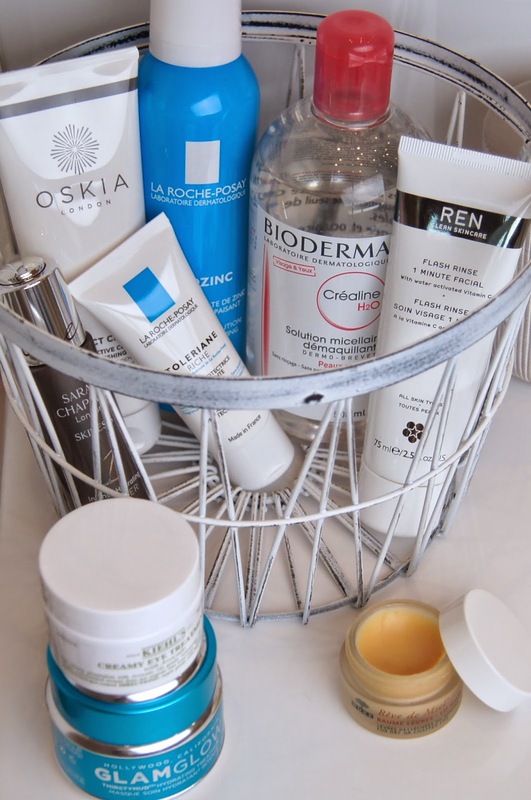 After sharing my Best Of 2014 Makeup Favourites, next up we have my top skincare products. 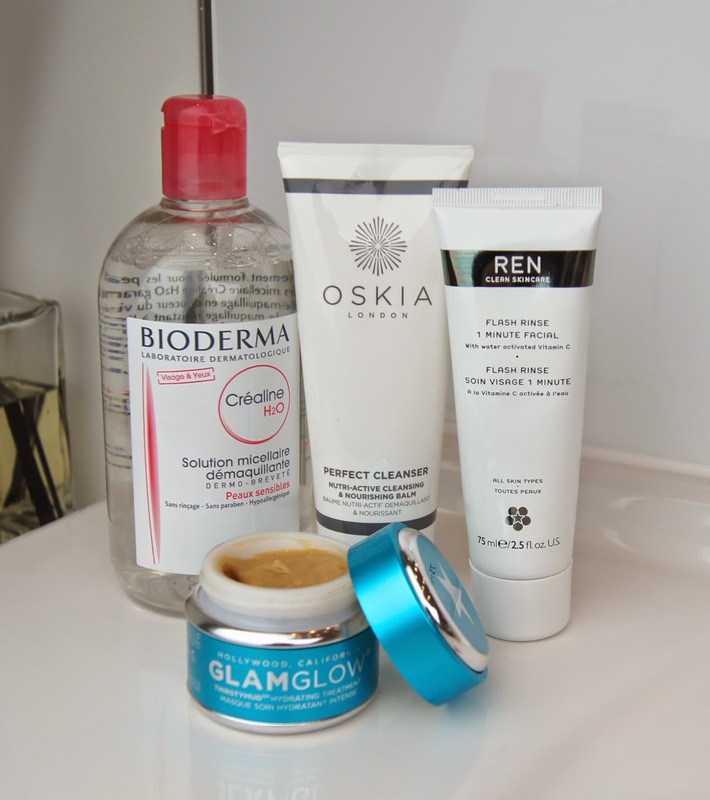 Having dry, dehydrated skin that can flare up and become sensitive from things like central heating and excess dust is frustrating, but last year I really got my skincare routine down to a tee. Now, I think my skin is the best it has been since I was a lot younger and I have a much better idea of what works for me. Now that Bioderma is more widely available here in the UK, I've stopped hunting down alternatives and keep a back-up stock of Crealine/Sensibio H2O topped up at all times. There's nothing else like it for gently removing makeup, before cleansing properly. I've flirted with other micellaire waters and yes, some have been alright, but they never live up to the French brand. Honestly, it feels just like water, yet removes makeup so effortlessly. No irritation, no greasy residue, no fragrance, no stripping feeling. If you hadn't guessed already, the only cleanser that I have eyes for is the Oskia Perfect Cleanser. The thick, rich, slightly grainy formula is everything my dry skin wants to give it a thorough, nourishing clean. Other oily cleansers may be nice, but this is next level stuff. Whilst some people find it too heavy, I think it's the perfect consistency and it doesn't clog my pores or break me out. Full of active ingredients, including omegas, vitamins and pre-biotics, the balm works to alleviate congestion, boost collagen production and restore moisture to the skin. From first use, I knew I had found my holy-grail cleanser. When the REN Flash Rinse 1-Minute Facial came onto the scene, I immediately fell in love. Not only is it a quick-fix, but it's the most impressive, exfoliating product I've tried. Containing water-activated Vitamin C, this treatment smoothes, firms and reduces dullness. The results are immediately noticeable, as skin feels like polished marble and looks so glowing, clear and fresh. The green, iced-slush-like formula is unusual, but it works a treat! You can read a full review of the 1-minute facial, here. After loving the original, mud mask, I had high hopes for the GlamGlow Thirstymud and it didn't disappoint. One important thing to note, is that it smells like a pina-colada - ah-mazing! But, obviously that isn't the be all and end all. Fortunately, this versatile mask delivers a surge of hydration to parched skin, leaving it plump, soft and radiant. You can even leave it on all night to really feed your skin with goodness! Again, I've done a full review on this mask, too. 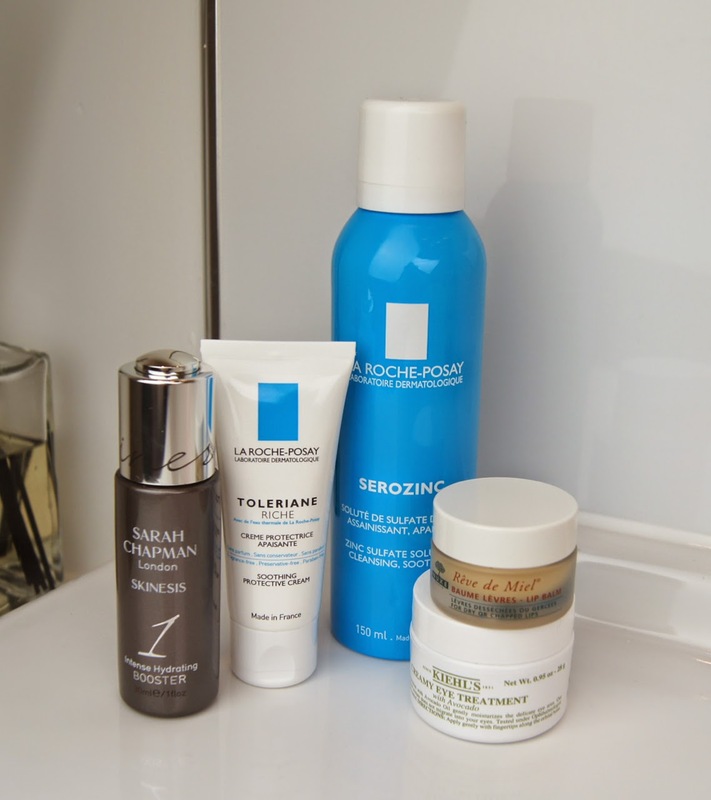 La Roche-Posay's Serozinc is my favourite toner of the year. As it was only available from French pharmacies up until the new year, I hadn't allowed myself to use it too often, in case I became hooked on it and was left without any. When in Paris a few months ago, I stuffed as many bottles of it as I could into my luggage and I've been using it every other morning, since. The spray can covers the face in a light mist of the refreshing, anti-bacterial, zinc-sulfate solution. This toner helps to keep blemishes at bay, soothes and calms any irritation and gives skin a little burst of extra hydration, before serum and moisturiser. Another product that I haven't stopped rabbiting on about, is the Sarah Chapman Intense Hydration Booster, silky serum that drenches the skin with a veil of oil-free moisture. Penetrating deep down, it fully absorbs in an instant, but leaves the face feeling so soft and comforted. Creating a bacterial shield, the serum protects the skin from outside aggressors, such as airborne bacteria and pollution. Formulated with hyaluronic acid, the booster combats dehydration and dryness, plumping the skin. When it comes to moisturiser, as I'm still relatively young, I like to keep things simple. Faffing around with expensive, anti-aging formulas isn't something I'm bothered about just yet and I'd prefer to spend more on my serum, than my face cream. The one I've found to be the best for my skin, is the fragrance-free La Roche-Posay Toleriane Riche Soothing Protective Cream. Formulated with 7% shea butter, it hydrates even the most dry, intolerant skin-types and soothes any tight-feeling, itchy discomfort. Even if my skin is feeling particularly dry or irritated, I can rely on this moisturiser to never sting or cause any burning sensations. But, I use it all year round, even when my skin is more normal. Despite being so emollient, the cream has a lightweight feel and, being non-comodegenic, it doesn't block pores. The same goes for eye cream. My main concern is hydration and, wrongly or rightly, I figure that keeping moisture levels up will only help to prevent pesky crow's feet from congregating around my peepers. Towards the end of the year, I reverted back to using my old-favourite Kiehl's Creamy Eye Treatment with Avocado. Containing avocado oil, vitamin A and omegas, this cream is a sure fire way to deeply hydrate the eye area. The texture of this eye cream can feel somewhat surprising. Starting off as a rich, concentrated cream, it suddenly begins to feel lighter and slightly watered-down as you pat it on. Skin still feels moisturised and smooth, but not overloaded and, as the area isn't left with a greasy film, makeup sits well over the top of it and under-eye concealer is less likely to crease. The formula is also designed to not migrate into the eyes, causing them to sting or start watering. Genius! My number one lip balm of 2014 had to be the Nuxe Reve de Miel Lip Balm, as I have a pot on my bedside table, one on my desk and one in my bathroom. With lots of luxurious ingredients within the formula, such as honey and shea butter, the balm is so thick that it feels like more of a treatment. Remaining on the lips for hours, even through eating and drinking, it's one of the longest-lasting balms I've tried. If I slick some on before bed, it's still there in the morning. It not only protects the lips from the outside elements, but deeply nourishes them, transforming and repairing any dry, chapped patches in just a day or two. Having a matte finish, it's quite unique on the market, but it makes a much better base for lipstick than other, glossier balms. Did you change up your skincare routine much in 2014? Skincare posts are one of my favourite to read! I'm really in need of a new eye cream and i've so many good things about Kiehl's, I think it's time to try it out! This was such a thorough and detailed post to read through, thanks for all of the information! Unlike how I've taken care of my body, I've been terrible with my face skincare routine over the years, so blogging has opened up a whole new world of knowledge for me! Thanks a million for following my blog, I'm looking forward to more of your posts and have also followed you on Twitter - I hope we can connect over there as well?! :) Happy New Year! I love Créaline! Such a shame that you can't just walk into a chemist and grab one off the shelves. Paris is a train away though, so it's the perfect excuse to visit! I could not agree with you more on that choice and Nuxe. Their lip balm was one of my last purchases and I don't regret it at all! So moisturizing and not sticky or greasy! Love it! 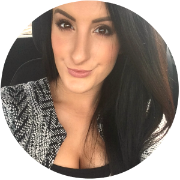 Thanks for stopping by the blog, Alice! Yours is awesome! Thanks for your comment on my 2014 favourites! I love the Nuxe lip balm and Serozinc too! :) Your blog is beautiful! I've just given you a follow! That lip balm <3 love it! I bought the REN mask - it's nice but it makes my hands feel so horrible. Think I might be using it wrong!